Initially revealed during Bethesda’s E3 2018 press conference, Elder Scrolls Blades is due to arrive soon on mobile devices. However, for those of you wondering, here’s everything you need to know about whether Elder Scrolls Blades is coming to PC, PS4, and Xbox One. As of March 28, 2019, the game launched on iOS devices and can be downloaded for free. However, access is limited and you have to be invited to play. Since it has now arrived on iOS, you can expect to see the Android version release soon — though considering the warning for Elder Scrolls Blades’ iOS release was just 24 hours, you’ll have to keep an eye out for an announcement. As for whether the game is coming to PC, PS4, and Xbox One, the answer is yes, it is supposed to. However, when that will be is difficult to estimate. 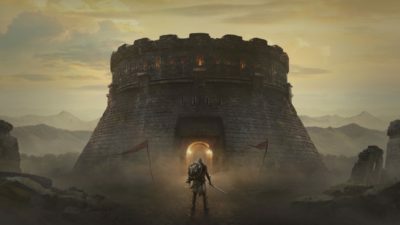 Elder Scrolls Blades has been designed with mobile devices in mind, with many of the controls relying on the players swiping on a touch screen, so it was always going to come to those platforms first. When the game was first revealed, Bethesda said that it would be coming to PC and consoles, but no time frame was put on when it would be. With the iOS version only just releasing and fans still waiting for news on the Android version, you shouldn’t expect it to be anytime soon, considering how much it would need to change. Of course, as soon as it is revealed when it is coming to consoles and PC, we’ll be sure to let you know here. For now, apply for access to the iOS version if you can and keep an eye on Twinfinite. That’s everything you need to know about whether Elder Scrolls Blades is coming to PC, PS4, and Xbox One. For more tips and tricks on the game, be sure to search for Twinfinite.